I urge you, and your windsurfing and kitesurfing associates, to make submissions on the AMENDMENT TO BEACHES AND BEACH RESERVE LOCAL LAW 2012 – RESTRICTIONS ON THE USE OF WATERCRAFT. I have made a list of points (below) which may clarify the process and assist you in making your submission. 1 It is important you and your associates make INDIVIDUAL SUBMISSIONS as this will, in my understanding, carry more weight (ie numbers count). 3. I suggest you also COPY YOUR SUBMISSION to Mayor Jo Dawkins mayor@cottesloe.wa.gov.au and ALL councilors at #councillors@cottesloe.wa.gov.au - (don't forget the preceding hash) - to ensure your voice is heard. 4. Link to TOC website outlining proposed changes is .... www.cottesloe.wa.gov.au/d/Resource_Library/Council/Public_Notices/1MG2I1C4WLJZUJ8QA6L2XM2WDN3GQ4/8NUOO6SL45PHM21.pdf/Public+Notice+-+Proposed+Amendment+to+the+Beaches+and+Beach+Reserves+Local+Law.pdf? - The currently permitted KITESURFING & WINDSURFING area north of North Cottesloe SLSC will be deleted altogether. - The ONLY area for KITESURFERS to SET UP and LAUNCH will be between Rosendo St and Princes St.
- The ONLY area for WINDSURFERS to SET UP and LAUNCH will be between Princes St and South Cottesloe Groyne (aka Dutch Inn or Beach St). 6. Both KITESURFERS and WINDSURFERS will continue to sail freely offshore wherever they please but will be restricted to setup, launching and landing in separate designated zones. - The children's slide at Dutch Inn playground will be moved north (consolidated with the swings at the north end) and fenced in (for safety) to create more open grass space (at the south end) for windsurfers to use ... the idea being to reduce potential conflict between playground users and windsurfers. PLEASE BE REMINDED, these are PROPOSED AMENDMENTS and careful consideration will be given to public feedback received as part of the submission process. One of my reservations about the process of public consultation is that the majority of affected "users" (in this case kite surfers and windsurfers) are NOT Cottesloe residents and ratepayers and there is a risk their opinions may not be heard. I therefore urge you to forward this email to other interested sportspersons and sporting organisations in order to alert them to this important issue. I have been trying to figure out why they are implementing these changes. I have only sailed there a handful of times but from what I have seen so far there doesn't really seem to be any animosity between kite boarders and windsurfers. Sure there are dickheads in both sports but moving the rigging area won't change that.What's more it will cost them an arm and a leg to move the playground, install new showers and probably increase car parking. Especially the car parking I think will be a problem. 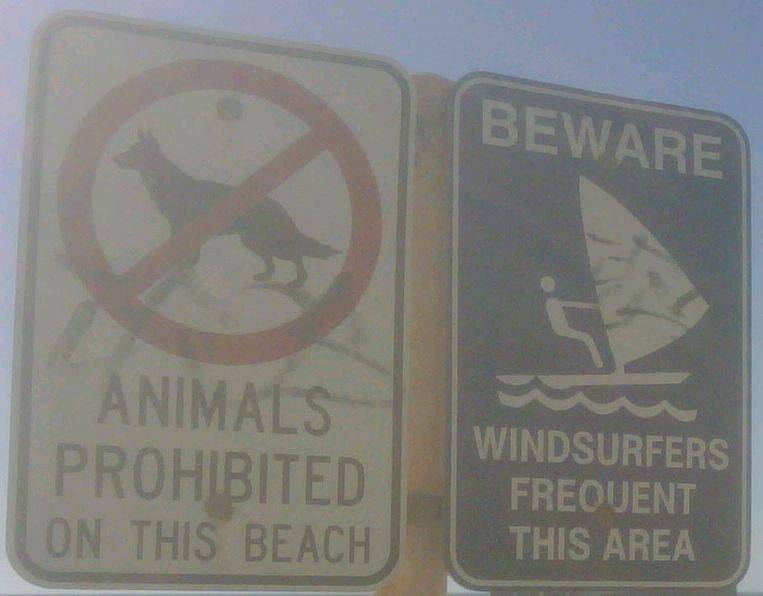 In regards to people not sailing / kiting in front of or North of the surf club, how about doing what they have done on the East Coast. Simply limit it to certain times of the year. Who in their right mind would go swimming in the middle of winter when a big Southerly is blowing?Perhaps just the usual. Small local council trying to justify their existence by "improving" the area. OK I have not read the whole proposal in depth yet but be careful about criticising the decision to move the playground. The playground is where windsurfers rig up and have done for years. It is close to the groyne with the best break. Obviously councils say "oh sht we could get sued" and go into damage control. We said 'well we were there before the playground, move the damn thing and let us rig up on the grass 50m from the groyne like we always have'. Then, kites have been segregated for many years (10?) and this was assented to by WWA and WAKSA. WAKSA 'enforced' it. That never worked as kiters didn't give a fk, if it is in bylaws maybe they will see the light, and stick to the rules. So anything that leaves us pretty much where we were, and keeps kiters in a separate area is good. Better than a total ban!!!!!! Yes North Cott is now out of bounds but that doesn't affect dutchies, and i dont think many windsurfers sail from there. The playground is getting moved so the interaction between windsurfing rigs and kids is reduced and access is straight down the path to the beach. If further restrictions are unavoidable, then the areas are the right way round, just not in the right proportions - Rosendo to Princes is a lot bigger than Princes to groyne. Also, the key hole in the reef (which windsurfers need more than kiters) is just north of Princes. I know - it's only just north of Princes so windsurfers would still use it, but where there's a council rule then there's always going to be someone prepared to enforce it or complain. So, how about we ask for a shared zone between Salvado and Princes? Both windsurfers and kiters could choose to launch there. This would also cater for friends who do both sports - yes it's true there are such people - I saw a kiter and windsurfer arrive in the same car last Saturday and park in exactly this area, next to me as I could not get parked at Dutchies carpark which was full. Hell, I too have kiter friends that I sometimes meet up with at Cott - what a shame if the council can tell us we are not allowed to launch together. Of course, we'd still have the council-proposed windsurfer only zone below Princes and the kiter only zone above Salvado, if we really must. And yes agree - consolidating the playground into one area is a good move. Anyway, that's what I'll be sending to the council. WWA is currently working on a submission to the council and we support the moving of the playground to consolidate the play area to near the swings. This will increase the rigging area and provide a more defined separation of the play and rigging areas..
Our main area of concern is how kite surfing and windsurfing are handled under the same banner. We would like to see the council define the two sports and treat them separately as the risk profiles and the associated risks are vastly different. For example there are very good reasons for kiting to be banned for the phone box area but these risks don't exist for windsurfing. So far dialogue with the council has been productive so we need to support the process and get the right outcome. When writing a submission, please keep in mind that the council are not the enemy and that constructive feedback will work a lot better than swinging a big stick. With the right approach a good solution for all (including kids and beach goers) can be achieved. What if you have to do a walk of shame? As the initial post says more individual comments would add more weight. Could you post a generic letter here that we could tweak and personalise so we could all write to back up your views ? My kids regularly play there and I would say there is more danger from the playground itself then from people rigging up. If they are really concerned about getting sued they should get rid of the playground all together. But let's face it small local council will do whatever they want. The whole consultation thing in my experience is usually a farce. The ONLY area for WINDSURFERS to SET UP and LAUNCH will be between Princes St and South Cottesloe Groyne (aka Dutch Inn or Beach St). So this means the current rigging area for Dutch Inn (grassed area with playground) won't be affected? Windsurfers rigging are close to families which are increasingly using the playground and showers because of Perth's growth/greater participation in all watersports, when its not blasting nuclear. While 500m north, walkers on the cliff-top path are within 23m lines' lengths of any kiters on the narrow beach at Telephone Box, where kiter Marc Sprod was killed and there have been several other near-misses. The council wants a local law which will allow there ranger to move on big groups kiters at Telephone Box, and designate some areas so that if Johnny Public does walk into one of your masts they can be told "It's an official area for windsurfers". In exchange, the beach becomes "official" areas, because it was always gentlemen's agreements with WAKSA and WWA, they've move the playground and we'll get another shower. BTW all, my submission will include that the four klopper log paths are repaired and widened slightly, especially at the tops. This includes and including trimming off the bits that stick out and metal screws so that you with ytour masts and boards, and we tea-baggers with our wet kites, have easier walks to the rigging areas. You guys might also want to suggest they prune those hedges just south of you car park - backing out of there into traffic is nightmare . I think there needs to be more parking if its an official area. Or some 5 minute loading bays, if people have to park further away on busy days. Opinions, ideas and enthusiasm are good. Now just get a shifty on, and send a proper-sounding, formal email to Cottesloe Council. Good points alverstone. Are you related to Alicia by the way? back on topic.... I have said my bit to the council and it is nice to see they are onside and u as a kiter are sensible about this too. Alverstone is place, far. far away. Many say it longer exists in its original form. Others say it was lost in the mists of time, memory and Government cut-backs for maintaining its river. But it was a place to where small boy once cycled after getting up early, making his own cheese and tomato sauce sandwiches. He mixed orange squash drink, packed his fishing rod, and write a note that said, "Mum, won't be back until after dinner time". Rangers were handing out flyers at Dutch Inn yesterday. Firstly I would like to thank the Council for its efforts in accommodating water sports users in Cottesloe. The separation of the playground from the grassed area used for windsurf rigging is a very sensible improvement. The flyer that was being handed out yesterday at Dutch Inn seems to contradict the image on the reverse as it only mentions the area between Rosendo and Princes in the Purpose and omits the Windsurf zone between Princes and Beach. I believe this was amended at Council. There are a few improvements that could be made to the proposed zones. 1. The separation line of Princes St is an obvious one but has issues. The gap in the close to shore section of the reef (rocks) that Windsurfers use to launch/land to avoid damaging the fins on their boards is actually North of Princes St. A better separator would be the bottom of the stairs just North of Princes St.
2. Windsurfers use the wave break to the South side of the groyne at Beach St and often land on that section of beach for adjusting equipment. Some choose to launch from that side to access the wave break. Launching in the suggested area requires sailing against the wind to sail up to the wave break. It would be preferred for the zone to continue for 150m south of the groyne to allow for this area to be used. 3. In winter when wind directions and wave conditions are different to the prevailing summer conditions windsurfers are often launching at other sites along the Cottesloe coast. There are far fewer beach users in Winter. Could the restriction be seasonal to allow for the use of other areas outside of Summer? WWA have met with the council to discuss our views and will be making a presentation to them to help them understand the difference between windsurfing and kitesurfing before they vote on this proposal. We want to make it clear that the risks to the public posed by windsurfing do not warrant any further restrictions. 1) We agree moving the slide to the North end of the rigging area at Dutchies is a good idea. 2) Adding further restrictions to where windsurfers can launch and recover is unnecessary. Regarding point 2 we feel that windsurfing in the existing permitted areas around Cottesloe does not pose any great risk to any other beach or water users and as such further restrictions are unwarranted. before Monday 7th March 4pm. While you're at it you may as well copy in the people highlighted in alverstone's post too. SUBMISSION: AMENDMENT TO BEACHES AND BEACH RESERVE LOCAL LAW 2012 – RESTRICTIONS ON THE USE OF WATERCRAFT. As a frequent Windsurfer at Dutch Inn for the past 20 years would like to thank the Council for its efforts in attempting to accommodating water sports users in Cottesloe. Dutch Inn is considered the best windsurfing spot in Metro Perth, and WA is considered the 'Mecca' for windsurfing globally; attracting professionals honing their skills, manufacturers testing their product, international and eastern states tourists and their families. Windsurfers and the public have coexisted happily at Dutch Inn for many years and I believe a single accident in long history of use should not prompt a 'nanny state' reaction. Windsurfers prefer to use Dutch Inn when the average wind strength is 18+ Knots (33+ km/h). Such wind strength makes the beach and park unpleasant for use by the public and as such only very rarely do you see non-windsurfers using this area and playground at the same time windsurfers are rigging. My main area of concern is how Windsurfing as a sport is tarnished by the high risks Kitesurfing poses to users and public. The sports are very different in their footprint and interface with other beach users. We would like to see the council define the two sports separately and consult with each sport's users and representatives individually. 1) The Location often provides waves and swell to the north and south of the groyne for jumping and wave riding. 2) There is a narrow break in the reef (25m wide) that allows Windsurfers to enter and exit the water without risk of damage to person and equipment. 3) The Grassed rigging area is good. 1) The separation of the playground from the grassed area used for windsurf rigging is a very sensible improvement. The installation of the playground in this area is a relatively recent and ill considered idea and the area would benefit from having it located further north near the swings. 2) The separation line of Princes St is an obvious one but has issues. The gap in the close to shore section of the reef (rocks) that Windsurfers use to launch/land to avoid damaging the fins on their boards is actually North of Princes St. A better separator would be the bottom of the stairs just North of Princes St.
3)Windsurfers use the wave break to the South side of the groyne at Beach St and often land on that section of beach for adjusting equipment. Some choose to launch from that side to access the wave break. Launching in the suggested area requires sailing against the wind to sail up to the wave break. It would be preferred for the zone to continue for 150m south of the groyne to allow for this area to be used. 4) In winter when wind directions and wave conditions are different to the prevailing summer conditions windsurfers are often launching at other sites along the Cottesloe coast. There are far fewer beach users in Winter. Could the restriction be seasonal to allow for the use of other areas outside of Summer? 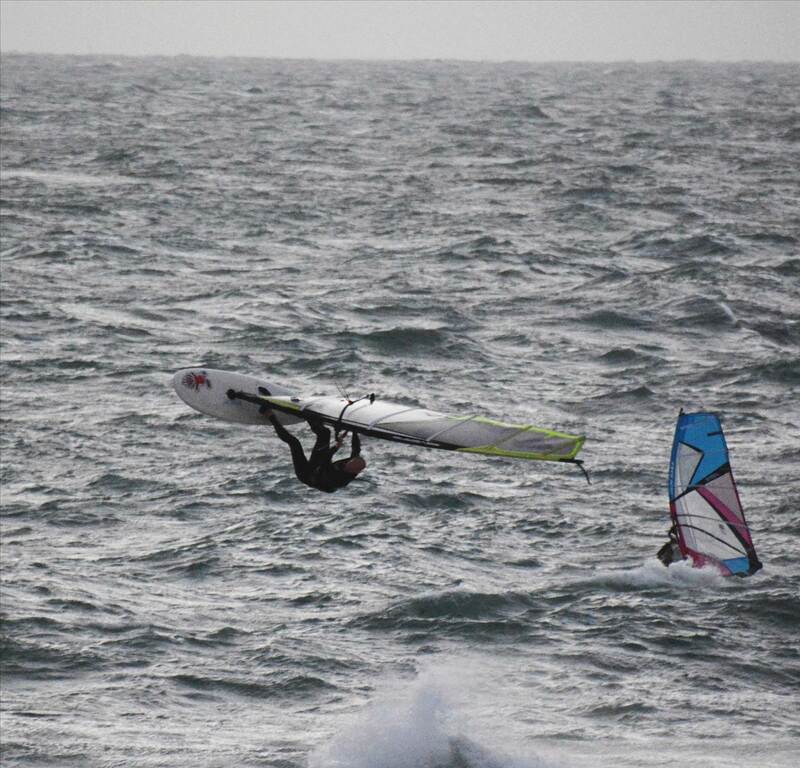 5) Adding further restrictions to where windsurfers can launch and recover is unnecessary. We feel that windsurfing in the existing permitted areas around Cottesloe does not pose any great risk to any other beach or water users and as such further restrictions are unwarranted. 'Windsurfers and the public have coexisted happily at Dutch Inn for many years. A single accident in long history of use should not prompt an over-reaction. Adjusting the playground siting is the most sensible option to address the problem. The benefits/externalities to the community from windsurfing from i) a healthy fit lifestyle for its participants; ii) the reassurance for all beach goers that arises from the regular presence of a band of happy nice people on the beach, with good values (windsurfers are among the finest people I know); and iii) providing role models for the younger generation in terms of how to get out there and have fun safely; are not to be underestimated. These benefits far far outweigh any small costs associated with what are, frankly, very infrequent accidents. It is an extremely safe sport. The large positive benefit cost ratio for the Cottesloe community is clear. Kitesurfing takes a larger footprint and is more dangerous for its participants, but this sport nonetheless remains an ideal water activity for the younger (and not so younger) set. Its measured risk taking beats taking risks in cars and doing burnouts in Cottesloe streets (the kitesurfer boys and girls are too tired for that after a big day on the water). Therefore kitesurfing is also to be supported. I chose not to diss the kitesurfers. Kitesurfing takes a larger footprint and is more dangerous for its participants. Can anyone confirm this startling new development. Tim...?